The base of each unit is fitted with skids to prevent deterioration. Finished in grey stove enamel and labelled to comply with currentregulations. 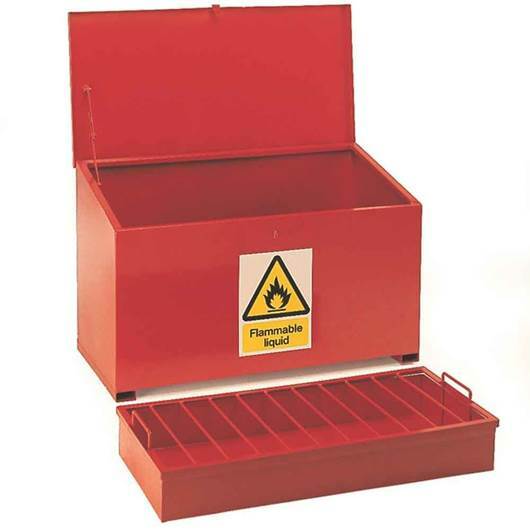 Manufactured for the storage of flammable materials from 1.2mm sheetsteel with all formed welded seams. The flanged lid is fitted with ahasp and staple for locking. Each unit is supplied with a removable 100mm liquid tight drip tray for ease of cleaning. 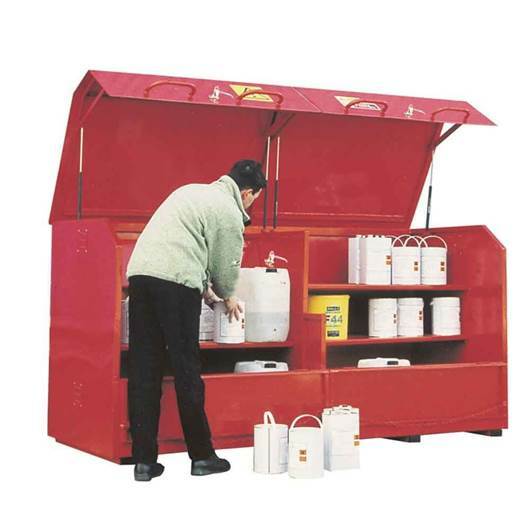 Suitable for 'CLASS A' storage (1986) and labelled in accordance with Petroleum Consolidation Act 1928, conforming to BS5378 & E. C. Directive 92/58 EEC. All welded unit designed and constructed to comply with A. P. E. A. requirements. Fitted with a hasp and staple to enable padlocking.Produced with a sloping roof to aid protection against the weather. 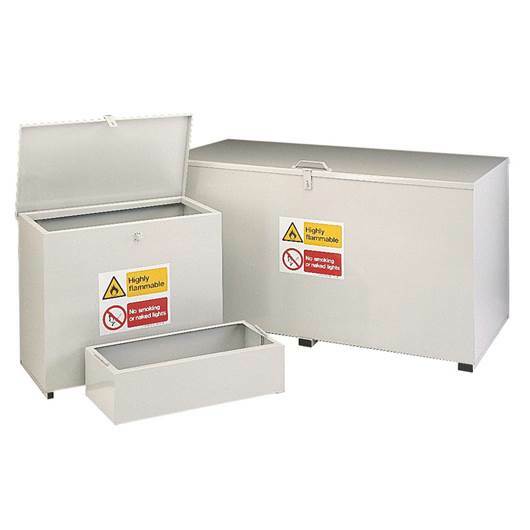 To assist in the cleaning of any spillages, each unit is fitted with a removable sump.Fitted with 150 mm deep leak proof sump to contain spillage.